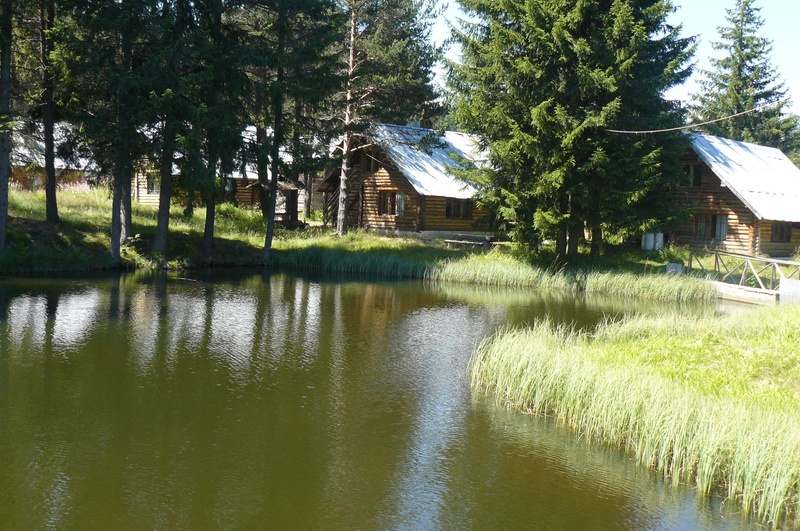 Geographical area: Romantika Villas (no English translation of the website is available) are situated in the central Rhodope Mountains by Shiroka Polyana Dam in the area of Kaval Tepe, Batak Municipality. Here is a map with directions Sofia-Shiroka Polyana. 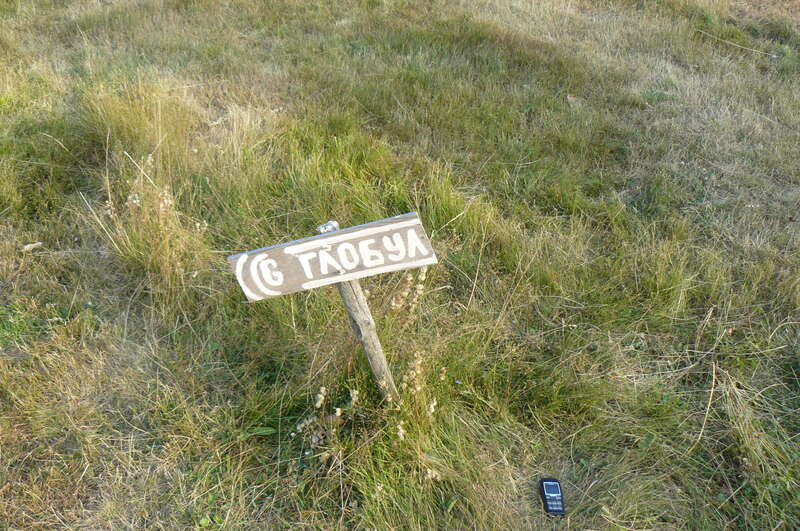 There are 2 wooden signs for Romantika Villas on the main road. Look for them. The second sign will tell you to go off the main road. There is about 11 km drive on a dirt road but it is worth the rough journey. The Villas: There are 15 wooden, two-story villas. 4 of them have 3 bedrooms and the rest have 2 bedrooms. The bathroom+WC is only one per villa. Each villa has a fireplace, wood for the fireplace, sofa, cable tv, tel.,fridge, dining table with chairs and some cutlery and plates. There is a porch with a view to Shiroka Polyana Dam, which is great for outdoor meals. There is a BBQ close to each villa so, from the BBQ, directly to the porch! The bedrooms are on the second floor. Bear in mind that the stairs to the second floor are quite steep – it is not safe for small children or drunk people:) to climb them by themselves. The bedrooms themselves are, nice and clean, but very small. The bathroom is just one for the whole villa. It is large and has a shower cabin and a hair dryer. The sink is rather small and there is no place for people to leave their stuff. The food is your responsibility – the BBQ is all yours. You should plan your grocery shopping carefully, because there is no shopping place anywhere close to the area. But do not worry because one of the villas (right in the middle) is made into something like a restaurant. They have the basics: coffee, tea, spirits, sandwiches, soups, pancakes, BBQ. They can also cook something with your products. But you should know that it is not the place you want to spend too much time at. The service: you should rely on your own services in Romantika Villas. When it comes to the service in the cafeteria – well, it is just an old couple asking what you want:) However, if you need to fix something in the villas there are a few guys around to do that for you. Fishing: Most visitors come to Romantika Villas just for that. Other than Shiroka Polyana Dam, there are other Dams in the area where you can try your luck: Dzhenevra Dam, Big/Small Beglik. 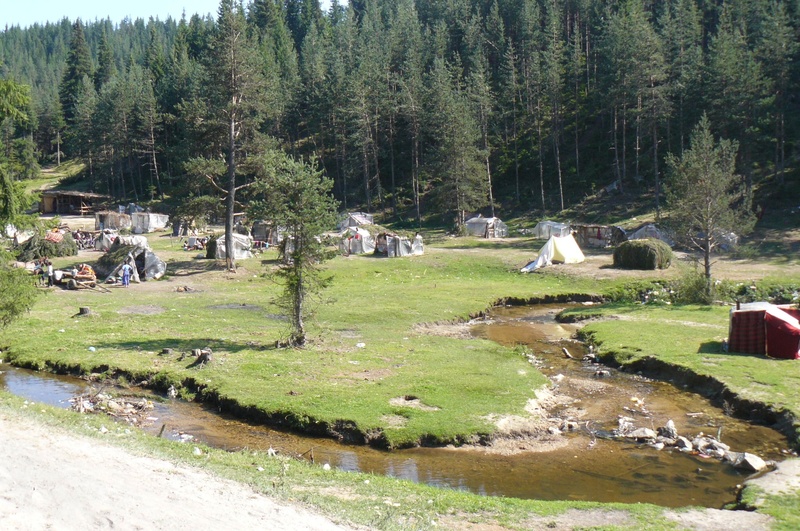 The area: Haydushki Polyani area is a beautiful meadow in the heart of a pine forest. The name ‘Haydushki Polyani means haidouk glades (haidouk in the sense of rebels against the otomans)There are 2 small lakes in the area. 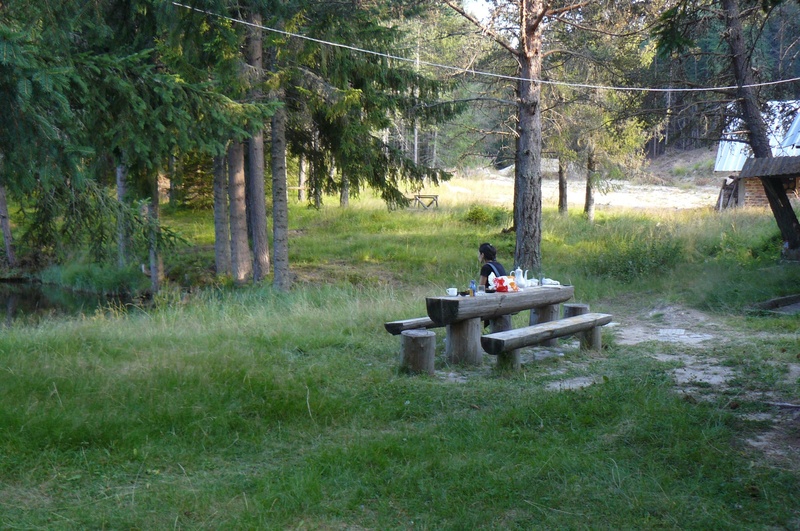 People like to make fires and have picnics or BBQs around the lakes. The hut: Momchil Voivoda hut is situated in the Haydushki Polyani area on a meadow in the heart of a pine forest.There is an old tourist hut next to it with the same name, but it lookes quite shabby. The new hut is quite decent. It is actually a luxury place for the real mountaineers who are used to very basic conditions. The hut has two floors. There is a pool table and a restaurant on the first floor. From the restaurant you can go out on a large terrace which offers a great view to the lakes and the forest. The terrace is a favourite place for the visitors who like to have their coffee/tea there. The rooms are clean but quite small. Each room has a separate bathroom. In the rooms there are just 2 beds (or one double bed) and a TV. No need for air conditioners because it never gets really hot in the area. 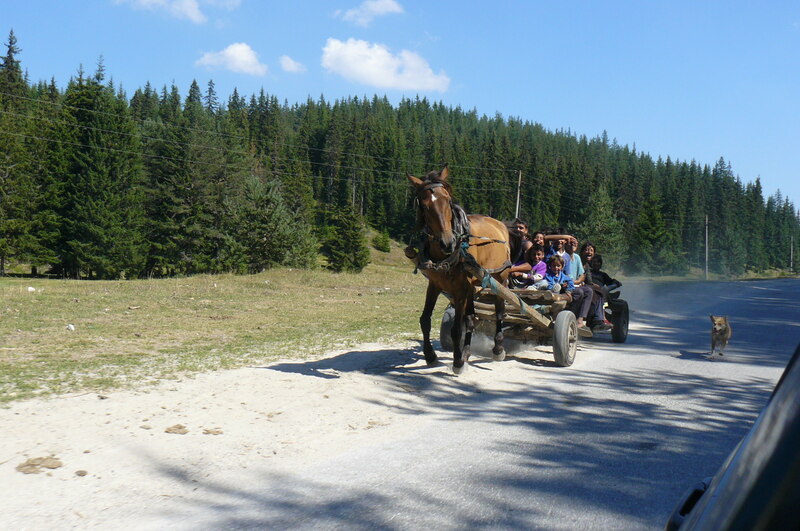 The food: we did not try the food but i can tell you this – there was a group of tourists in the restaurant and the staff had already served them their food – typical Rhodope food – and it looked and smelled really good. This is not pizza that you see on the picture. This is ‘patatnik’ – a typical Rhodope dish from potatoes, eggs, etc. The price is 20 euro per room per night. There are group discounts. 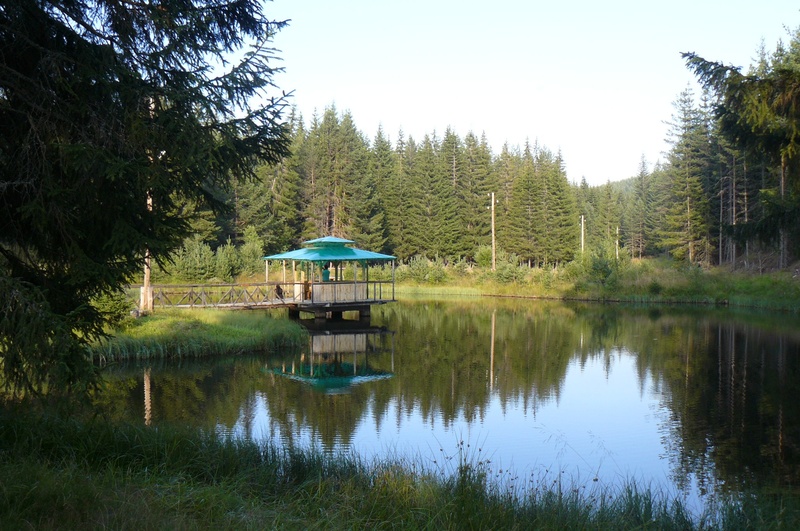 Pros: The biggest advantage of Momchil Voivoda Hut is its location – really beautiful piece of nature; no noise around since the hut is away from the main road; crystal clean air; simple and good food. Cons: Even though the rooms are clean they are quite small and dark – not very welcoming. The bathroom is clean but not very comfortable. But as I already mentioned earlier, considering the secluded location of the hut it offers all the comfort that you can possible get in the mountains.